Congratulations to Mr. Tongwang of Year 5 at St. Stephen’s International School, Bangkok. 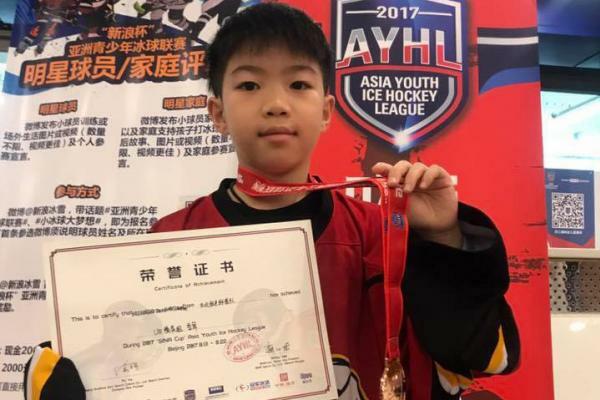 He participated in the SINA Cup Asia Youth Ice Hockey League in Beijing, China on August 2017. Tongwang and his team won 3rd place in the Silver Monster team event.